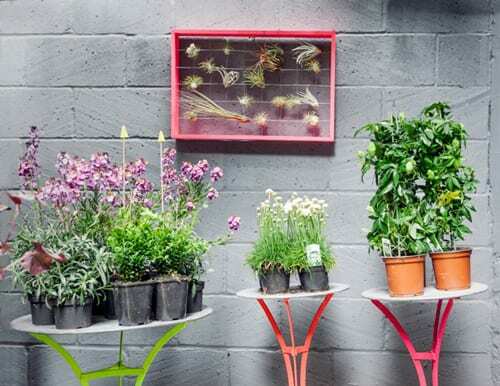 Last week, I was delighted to be invited to attend a Pop Up Party to celebrate the launch of The Balcony Gardener‘s new Urban Garden Showroom and Museum of Terrariums at Squint‘s South Kensington emporium. 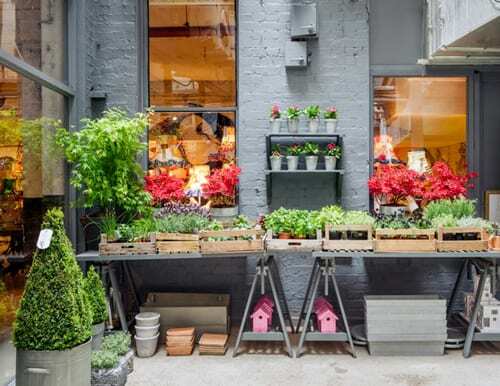 As part of the Chelsea Fringe and Brompton Design District‘s calendar of events, The Balcony Gardener have filled Squint’s basement courtyard with a beautiful assortment of container gardens and outdoor accessories. 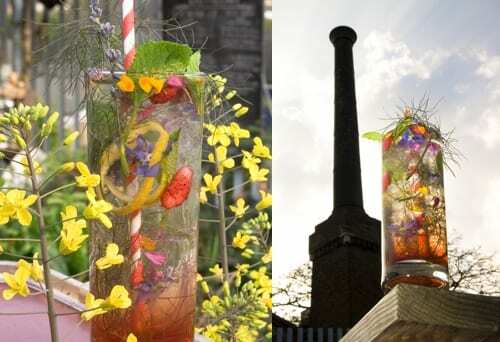 At the party, there were the most delicious cocktails made by The Cocktail Gardener, Lottie Muir. 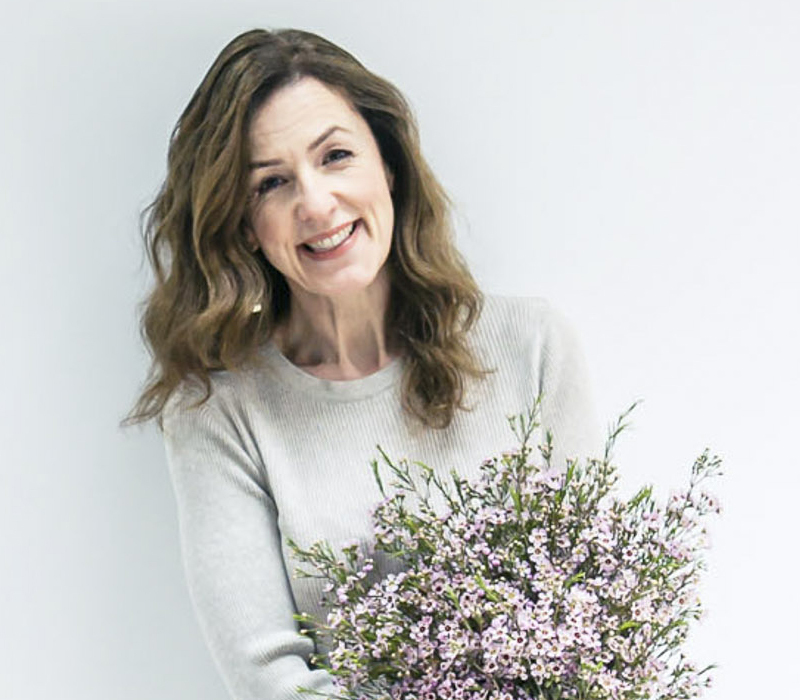 Lottie, who is a botanical mixologist, makes her seasonal garden cocktails and infusions using cultivated and foraged flowers and herbs…and I cannot recommend them highly enough! 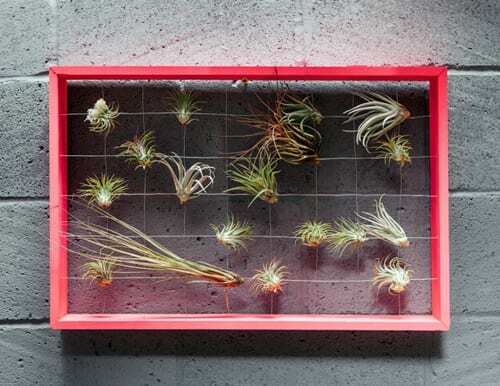 The Balcony Gardener’s Urban Garden Showroom and Museum of Terrariums will be at Squint‘s South Kensington emporium until June 9th. And the emporium’s address is 1 North Terrace, London, SW3 2BA. If you’re not familiar with Squint, it’s an independent design company founded by Lisa Whatmough. 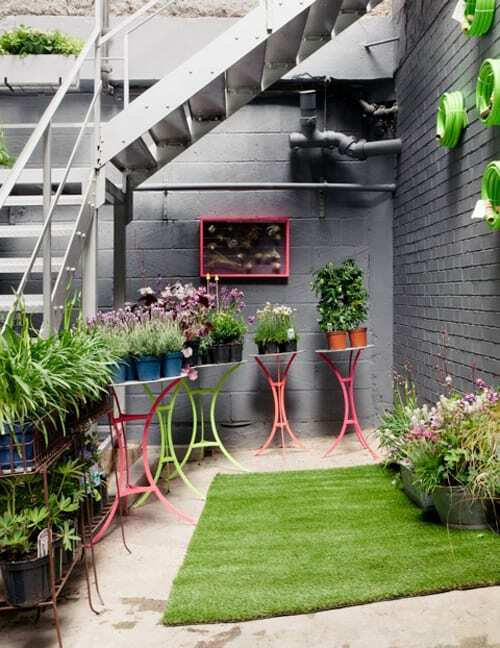 They make and sell bespoke, hand-crafted exuberant furniture and home accessories. 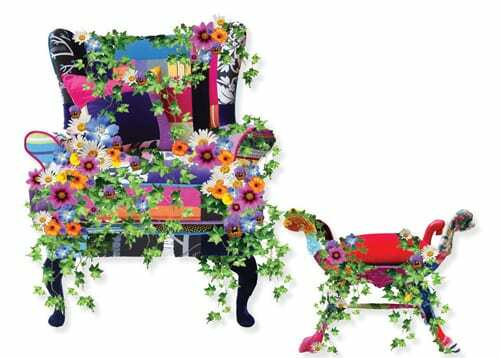 I absolutely love their colourful patchwork furniture, which you can see below, especially adorned with blooms to promote this special collaboration with The Balcony Gardener. 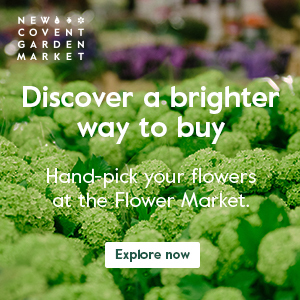 So, if you’re in the South Kensington area, why not pop in? Loved seeing these photos, Rona. Thanks so much for sharing. Wish I could have joined you all!